Good afternoon, readers! 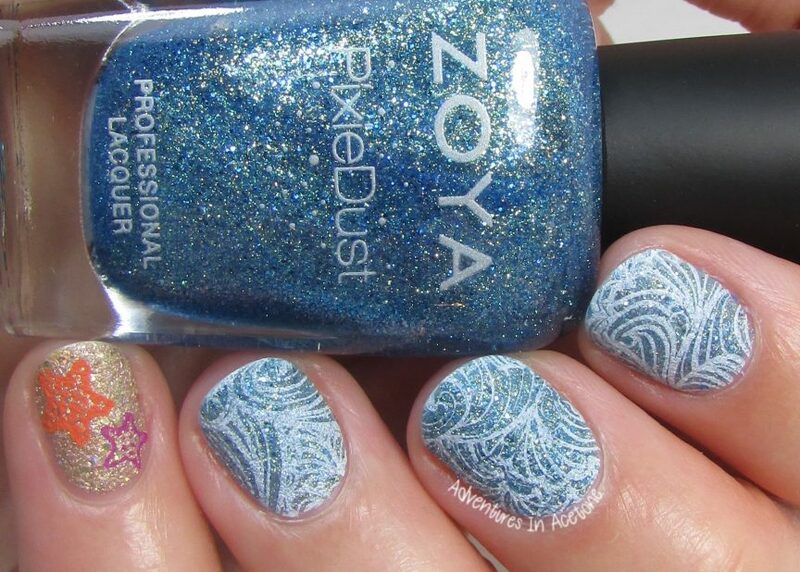 This week’s 40 Great Nail Art Ideas prompt is “holidays, seaside, or beach.” I chose two sparkly Zoya Pixie Dusts and stamped over them for a fun, seaside effect. 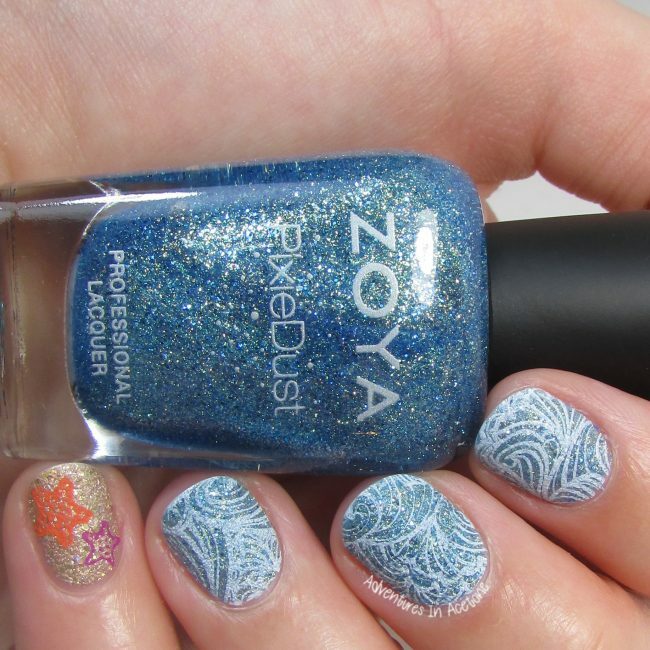 My pinkies were painted with two coats of Zoya Levi textured Pixie Dust. 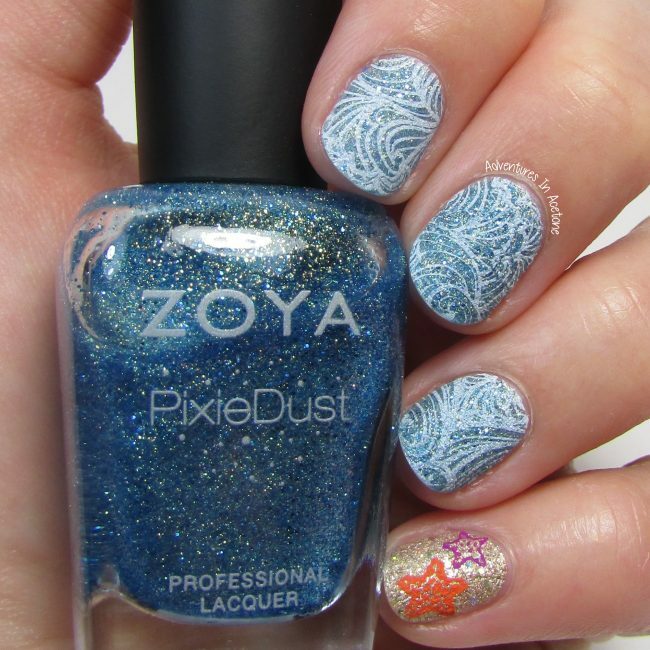 The rest of my nails were painted with two coats of Zoya Bay textured Pixie Dust. I used Mundo de Uñas White stamping polish to stamp the wave image from Winstonia W314 stamping plate onto the blue nails. 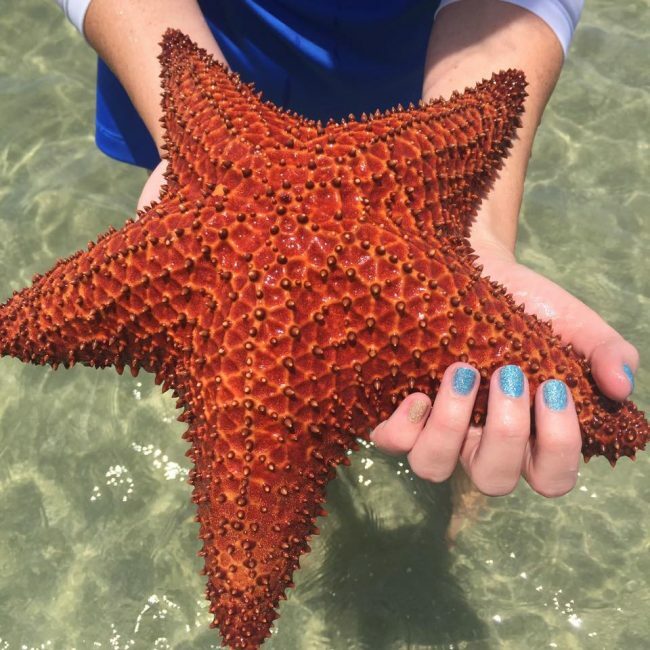 I used Mundo de Uñas Geranium and Tutti to stamp individual starfish from Bundle Monster BM-S166 stamping plate onto the gold nail. I did not add a top coat as I wanted to keep the pixie dust texture.